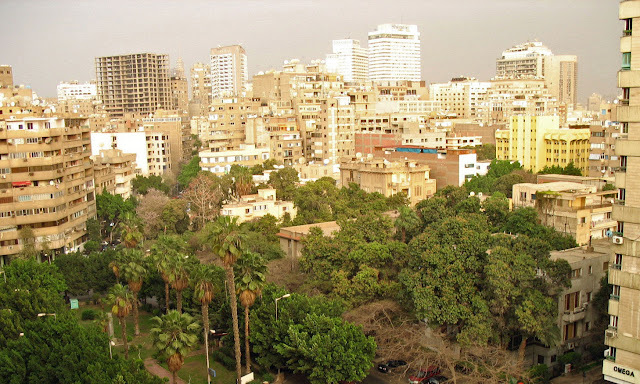 Here are some photographs of Cairo city: one of them a photo of the city's skyline, one of a street in Cairo and the other two are shots of the city taken from a moving car. The first photograph is taken from a hotel balcony and captures the skyline of the city. Well, at least partly. 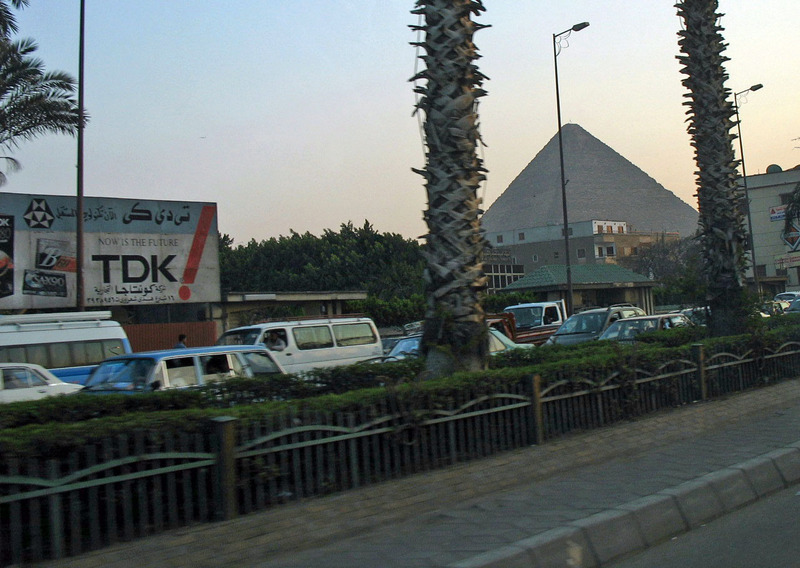 But what is Cairo's skyline without its pyramids? As the pyramids are located a little outside of the city it was not possible to capture the city and the pyramids together. However, I clicked a picture from the city streets (on the way to the pyramids) and this is what I got: A street shot of a pyramid caught between the trunks of two palm trees and a city street in the foreground. 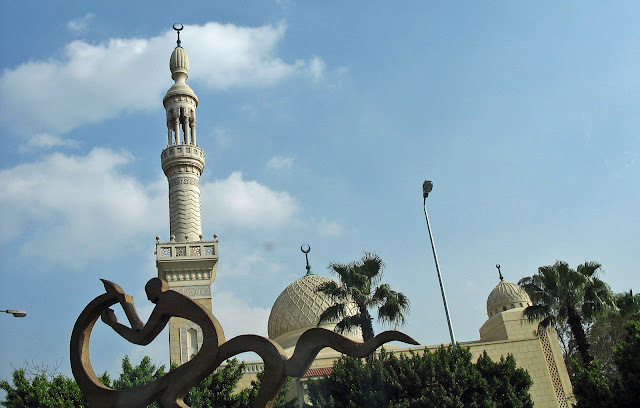 This was a shot taken on the streets of Cairo from a moving car. 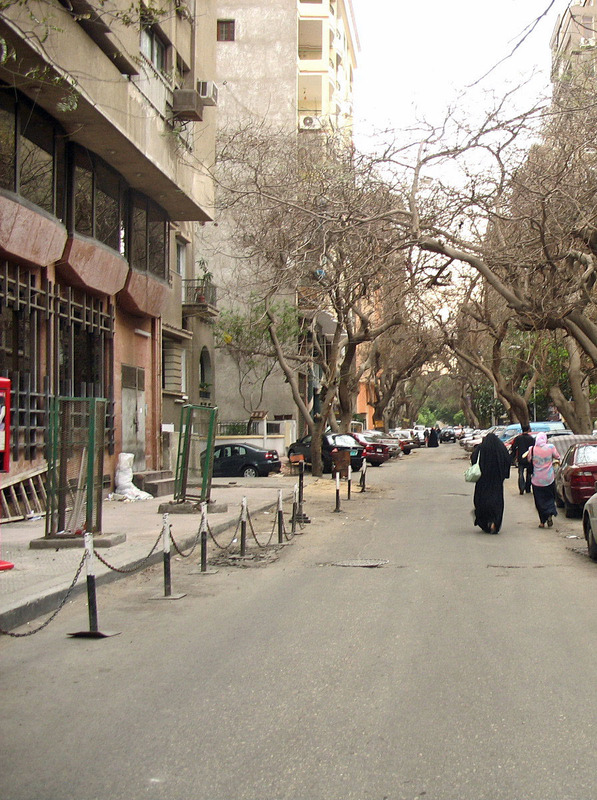 This last photograph is of people walking down a Cairo street.